October 6 & 7 feature the Movers playing some homegrown shows in Louisiana. On Saturday, The Movers are playing the Beignet Fest in City Park at 11:45 am, and on Sunday, they'll be in Lafayette, LA on at Rock-n-Bowl at 1 pm. 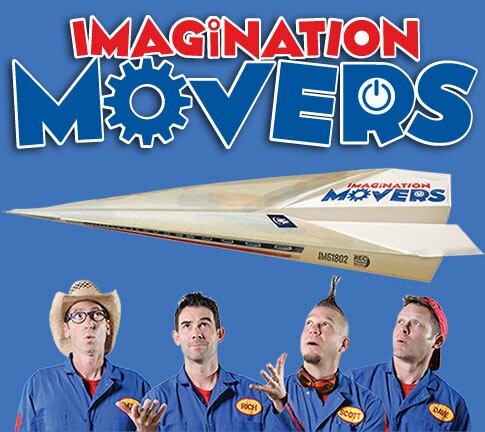 So get a plate full of beignets on Sat and grab a bit of 'Za on Sunday while enjoying your favorite sons, the Imagination Movers play old hits and new ones.